Watch her spread her wings and magically twirl and dance through the air. 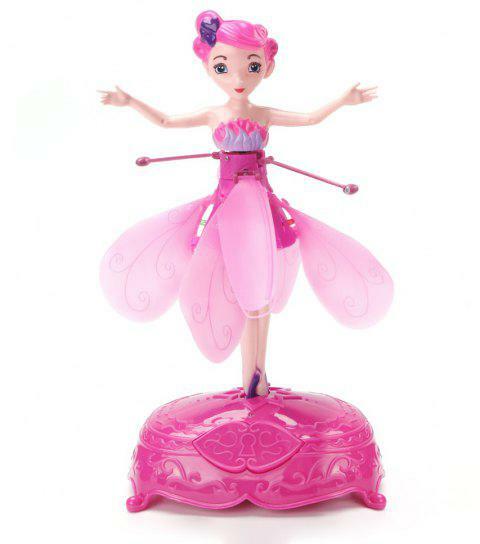 This magic flying fairy toy is dressed in a beautiful dress and glittery wings. Magically control her graceful flight as she floats over your palm. You will not believe your eyes as she magically sparkles and shines while in flight. Guide your Fairy using only your hand as she gracefully whirls and twinkles through the air. Makes the perfect gift! Do not play the toy in the narrow space as far as possible, lest produce risk. Under 6-year-old should be play with their parents. When propeller rotating, do not touch it, in order to avoid the pain!